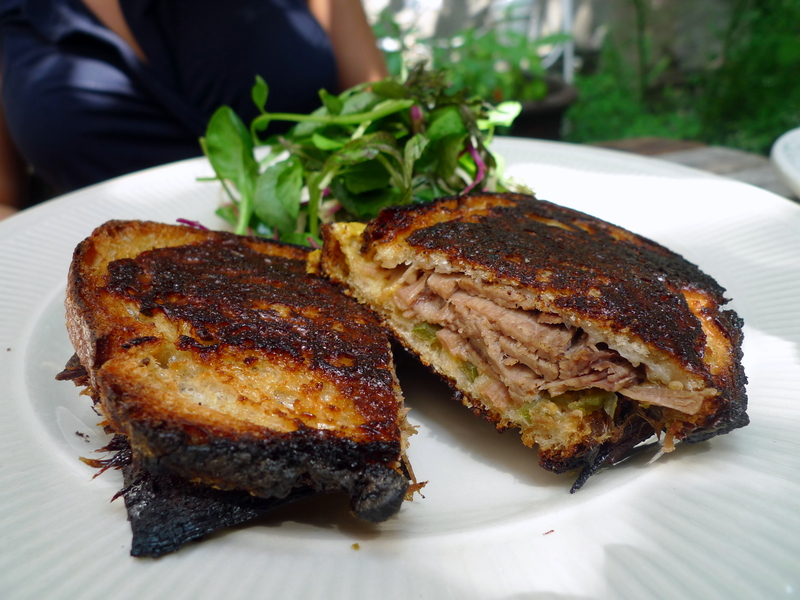 Vinegar Hill House is a quirky but cozy restaurant located in the Vinegar Hill neighborhood in Brooklyn. It had been on my wish list for a while but dinner reservations have proved incredibly difficult to obtain. 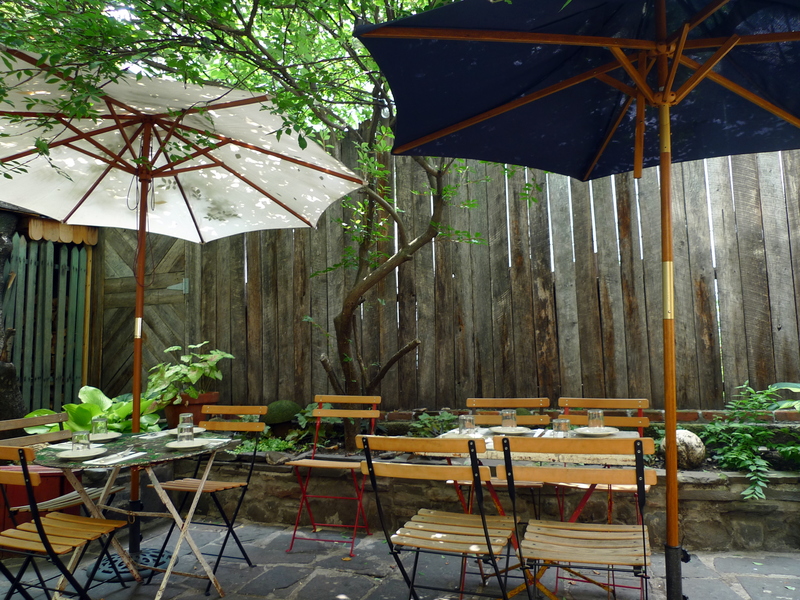 Vinegar Hill House is primarily a walk-in restaurant, although they do accept a limited number of reservations (parties of 4 or more for dinner, and 6 or more for weekend brunch). I have heard the dinner wait can be quite long (the restaurant only seats about 40), and my lack of patience has been the biggest deterrent in pursuing dining there. 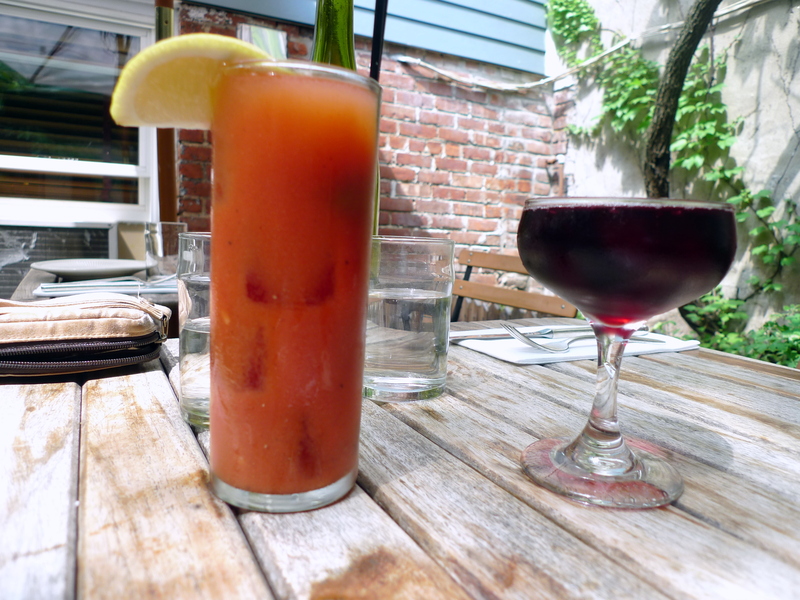 Then one Sunday morning last year (sorry this post is quite back dated so menu has changed considerably), Natalya and I happened to be in Brooklyn and we decided to wander over the Vinegar Hill House to see if we could grab a table for brunch. Luckily, it was still quite early and we easily secured a table in the backyard patio. 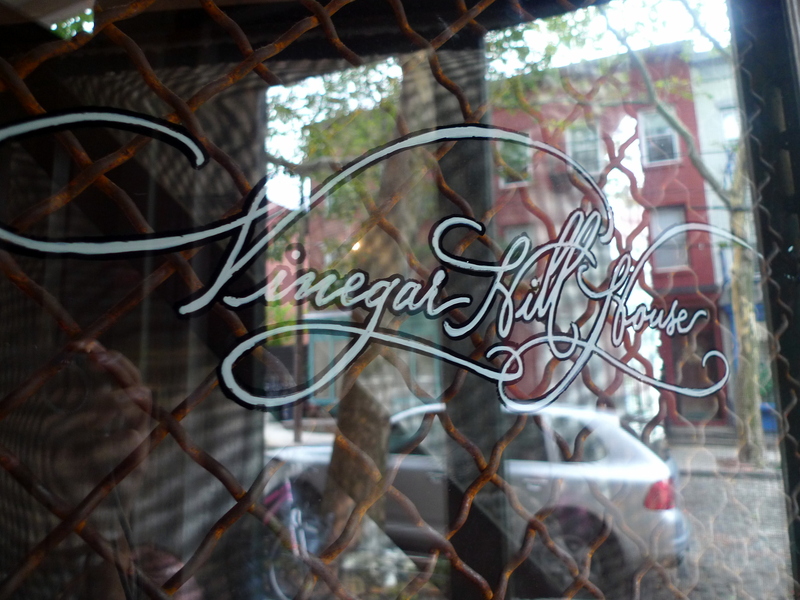 Vinegar Hill House first opened in November 2008 as the love child of culinary couple chef Jean Adamson and co-owner Sam Buffa. The pair first met working together at Freeman’s in Manhattan’s LES, and they bonded over their mutual love for restaurants and Brooklyn neighborhoods. The couple eventually moved into a carriage house in Vinegar Hill that just so happened to have enough commercial space in front for a restaurant. Sam designed the restaurant and Jean ran the kitchen until Brian Leth came into their lives in April 2009. As the new Chef de Cuisine, Brian promptly transformed the restaurant with his locally sourced menu focus and ethnic flair. 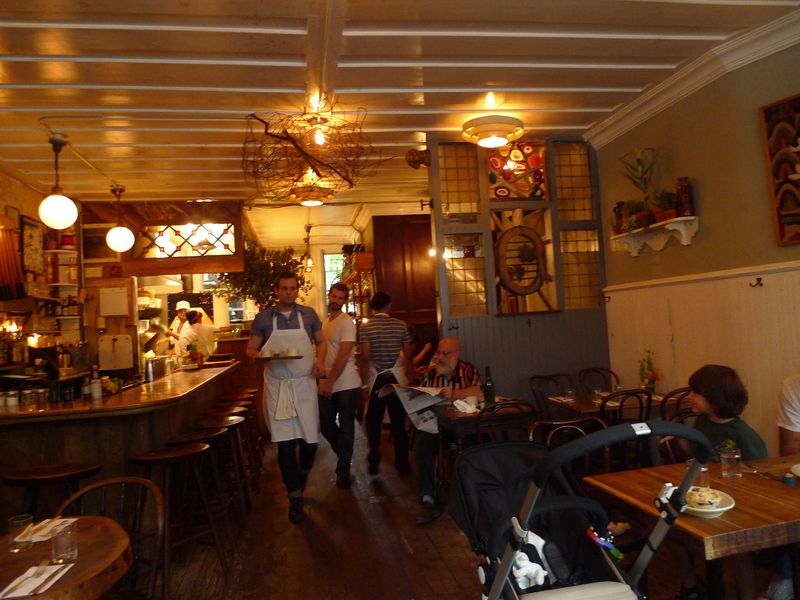 Months and glowing reviews later, the little Brooklyn house on Vinegar Hill seems to be doing quite well. Just this past June, the owners have opened a 30-seat wine bar and café called Hillside next door. During the day, locals can pop in for doughnuts for breakfast and deli sandwiches for lunch. During the evening, Hillside becomes an intimate wine bar that also serves cheese, charcuterie, oysters and other bar menu items (obviously I’m talking about roasted bone marrow… duh). 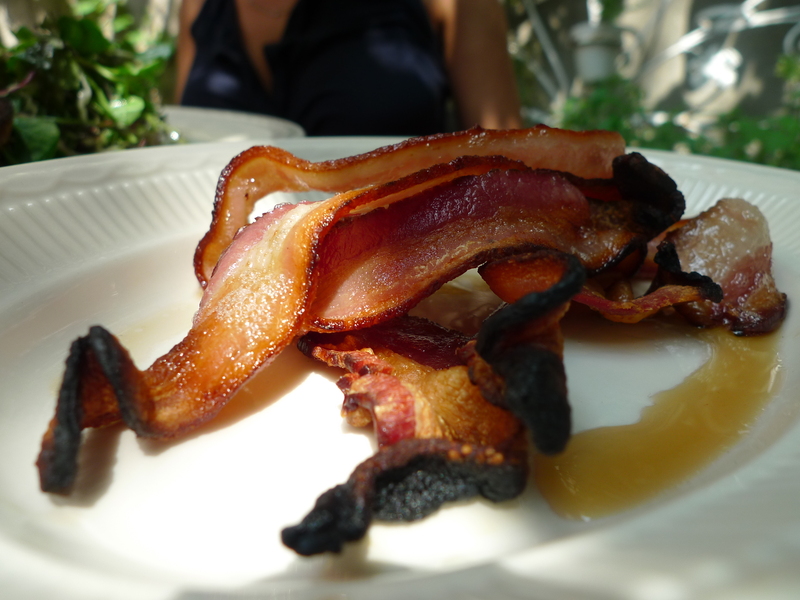 Overall, brunch at VHH was quite a pleasant affair; I did quite enjoy its unique kind of comfort food. My favorite was the sourdough pancake that was stuffed with spicy chorizo and served with pineapple salsa. The warm ambiance was lovely but I found the service to be lacking, even though the restaurant was empty. My impression of this restaurant is quite limited as I only have dined there once. I did like it but didn’t really love it enough to make the trek again from Manhattan. I’m sure the Brooklynites won’t really mind one less invader though.